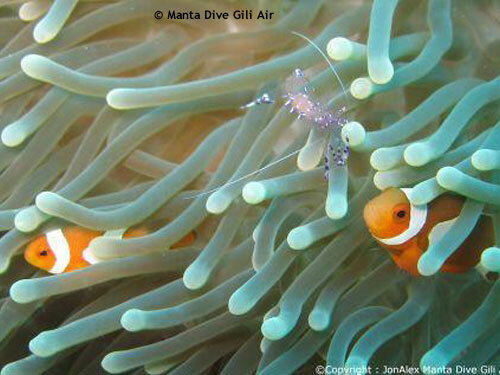 Meno Slope is a Gili destination great for photographing macro species and close-ups. Meno Slope provides the usual Turtles and a great variety of fish including Unicorn, Trigger, Trumpet and Anemone fish, as well as schools of Fusiliers and Snapper. In the deeper parts you may find a White Tip Reef Shark patrolling the desert like sandy areas! Add to all of this a chance of finding Pygmy Sea Horses and a variety of Nudibranch and other macro species, so if it is variety you are looking for Meno Slope certainly has it! !